when i open max payne 3 , blue screen error appears .But sometimes it will open, but when i press enter, then loading screen will appear, but it is not opening. PLEASE TELL!! Best Answer: Is it the same problem with other applications or only with MP3? Check your system requirement and see whether it meets the minimum requirements. First update your Windows OS and fix the registry. Clean your hard disk from possible malware, viruses, trozans etc. Fix any HDD problem. Update your graphics driver with latest updated driver from the manufacturer's website. 1. update your video driver. I will tell how you will rid of BSOD in crack directory or blackbox version and how to proper install RELOADED version with all updates with no errors or problems. I had problems from friday with this and i solved it now and no problems at all now. 1. Have Windows 7 with SP1, you need SP1 and you will no longer get BSOD for 100%. I had problems with BSOD with reloaded version, even cant opened crack folder on DVD4 and i got BSOD. After i reinstall my old version of windows 7 to newer with SP1 the problem was solved. 3. When installation is finished cancel auto updates when autoupdate window appeared. 4. Open DVD4, Crack folder, Updates and install all 3 exes. 5. Copy dlc folder, binkw32.dll,gsrld.dll and MaxPayne3.exe to your max payne installed folder and rewrite all when asked. 6. Press windows key + R, write wf.msc to command line. On windows firewall window left up is outbound rules, click on it, then on right click on 'new rule'. Select Program, next, browse for maxpayne3.exe, block the connection, next all check (domain, private, publi), next, name it example: maxpayne.exe and click finish. Make this same for Playmaxpayne3.exe. Now you exes are blocked from connecting to internet. 7. Start PlayMaxPayne3.exe. Click Offline mode. When it starts game (maybe some problems with clicking resolution but it will be fixed in few seconds) just press alt+tab, go to your user documents folder/rockstargames/socialclub/ and here copy from DVD4/crack/profiles folder. 8. Go back to game, press HOME, Sign in, and you will see one account on left, just click on it and you will be logged for your offline mode game without any problems and all game progress will be saved properly. So it in basic terms shuts down abode windows and reflects the dying reveal screen? Hmm.. seems such as you have opened an contaminated document and u caught an outbreak... attempt reversing the date using device restoration, if it does not help, you will could reinstall abode windows thoroughly. Blue screen appears while going to play max payne 3? I got the windows blue screen When i open a Folder ( Windows death Blue screen )? 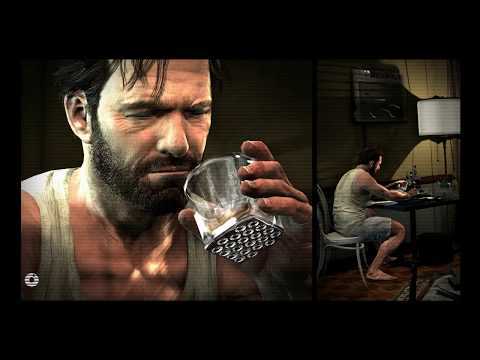 Max Payne 3 make my PC Crash !! ( Blue Screen Error)? Max Payne 3 BlackBox version Installing ERROR (Blue Screen of Death Error)? Max payne 3 shows blue screen please help?